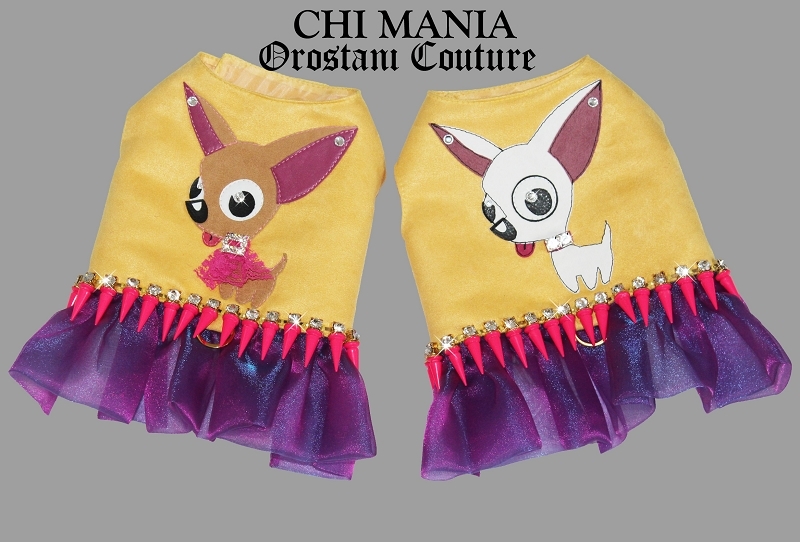 This playful luxury fashion harness is made from sunshine yellow ultra suede and outlined with gold encrusted crystal neon pink spikes that sparkle in the sunlight as your furbaby strolls thru the park. 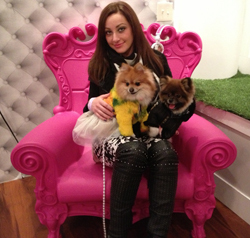 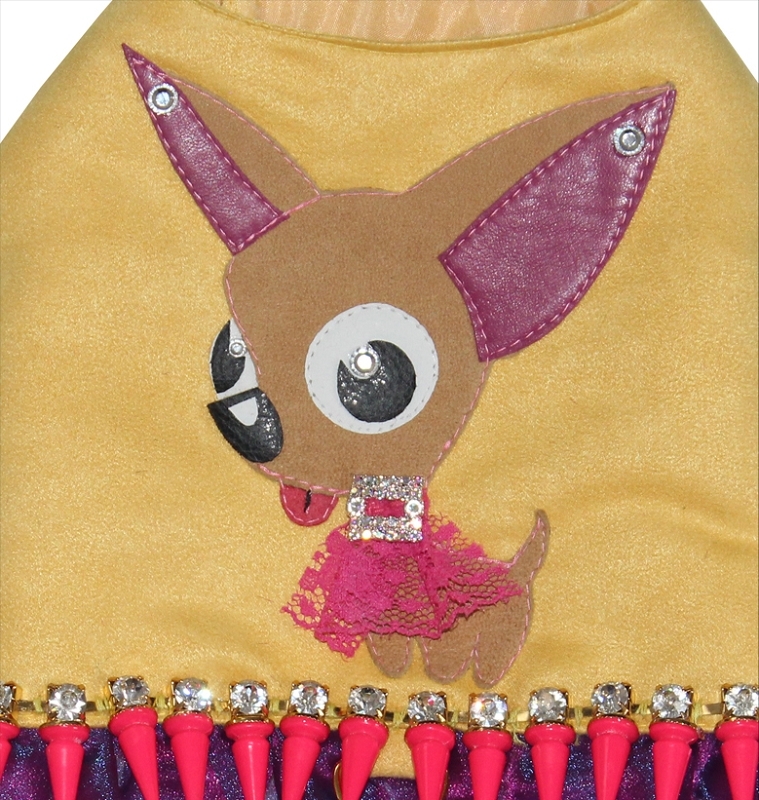 The chihuahua design is cut out by hand from brown genuine suede and mulberry leather and appliqued onto the harness. 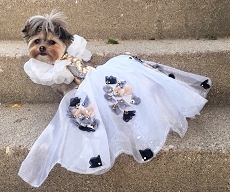 Embellishments are created with hand glued Swarovski crystals and a lacey dress adds the finishing touch to this delightful doggie art. 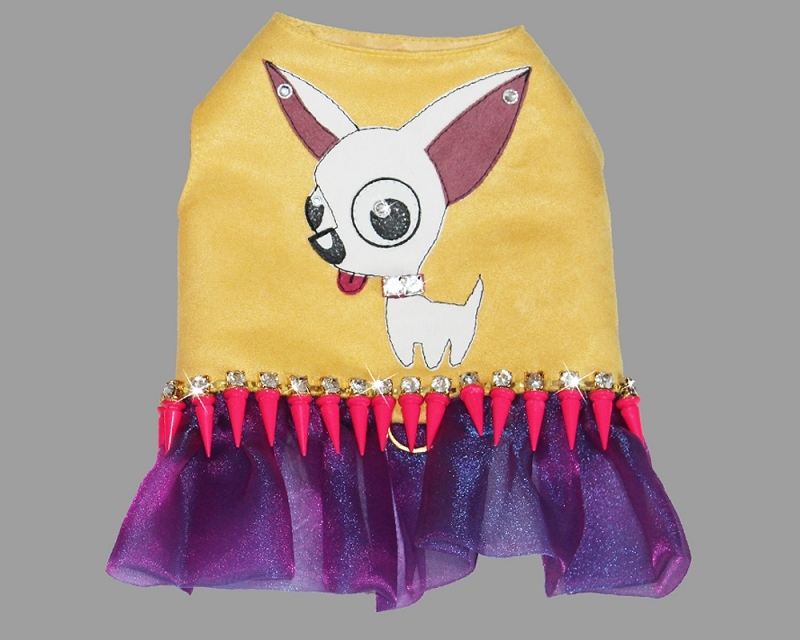 Harness has a small ruffle skirt made of iridescent fuscia pink shimmer organiza. 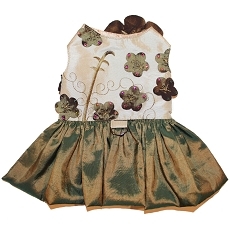 Adjustable velcro closure around neck and belly and D-ring at center waist. 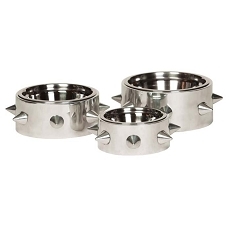 It is an excellent prop for your pet to wear for that next photo shoot or just a walk in the park. 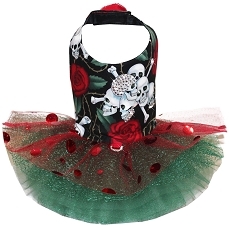 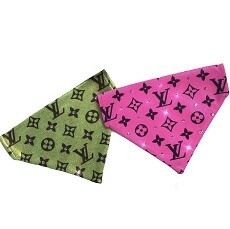 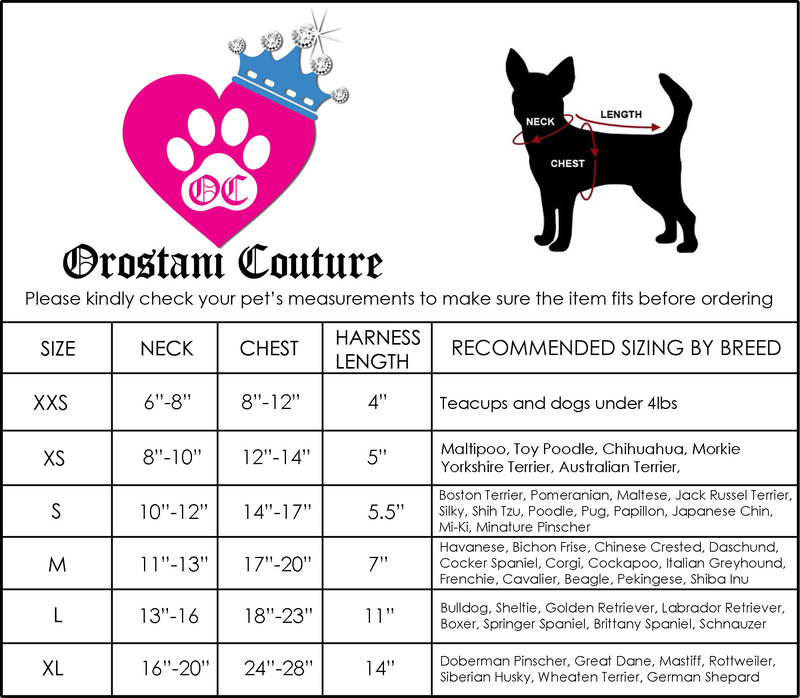 Your pampered pooch will surely be noticed in this couture design.